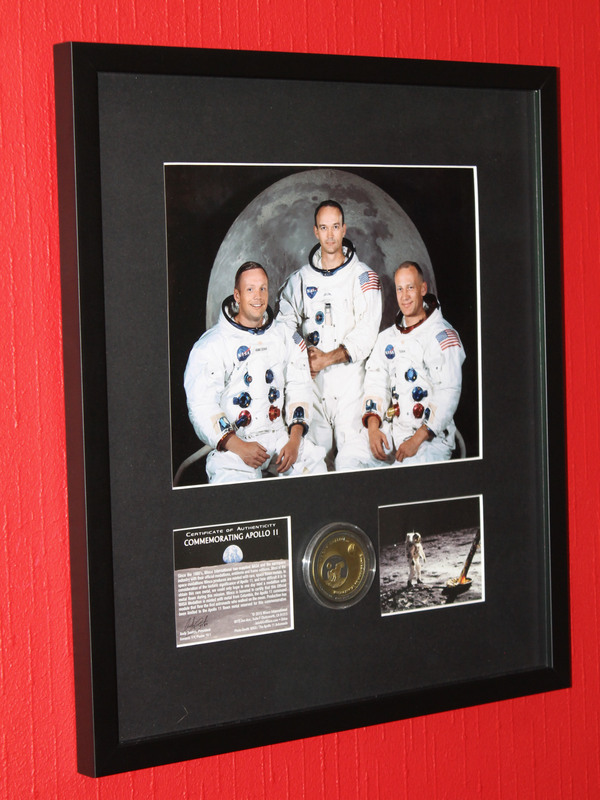 Professionally framed photo of Apollo 11 Crew (10 x 8″) mounted with medallion minted with flown metal from the Apollo 11 Command Module that flew the first astronauts to land on the moon. Also includes a mounted Certificate of Authenticity. Original NASA coin/ medallion is 1.75 inches in diameter. Overall size of framed items is 15″ x 17”. Anti-reflective art glass used for framing.